With New Engines including three petrol and three diesel engines, ranging from 109bhp to 168hp for petrol power and 94bhp to 138bhp for diesel versions. , Refreshed Interior & Enhanced Exterior Style are some of the reasons to come and check out the all New Fiat 500X. Fiat have created the Fiat 500X Urban SUV to help you enjoy the city life with a great design partnered with the most advanced Driving Technology. • Uconnect™ 7" HD touchscreen DAB radio with Bluetooth, USB and Aux in. 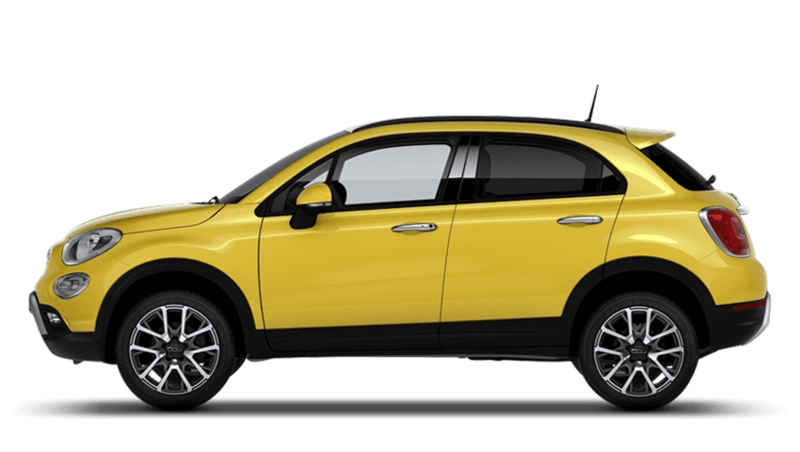 Fiat have created the Fiat 500X Cross for you to enjoy your next adventure this SUV comes complete safety for you to take on the road in all conditions. This is the shape of the new Fiat 500X – as bold, stylish and unique as ever. Once you have purchased a Fiat model from one of our Fiat Centres, we highly recommend opting for one of our Fiat Service Plans, to help spread car maintenance costs on a monthly basis. At Richard Hardie, we also stock a large collection of genuine Fiat parts, so you can rely on us to maintain your car in line with the high standards the manufacturer demands.